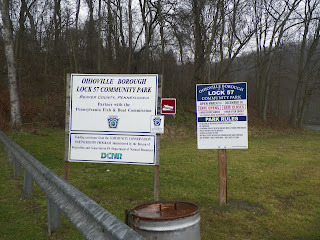 One of our favorite haunts in the area is The Ohioville Borough Lock 57 Community Park. Haunted? We think so. Our only complaint about it is they no longer allow dogs down there. Not sure where that comes from, but it is a stupid rule. People love to take their dogs to places like this to walk. That is all I will say about it for now, but it will be something that I bring up again. 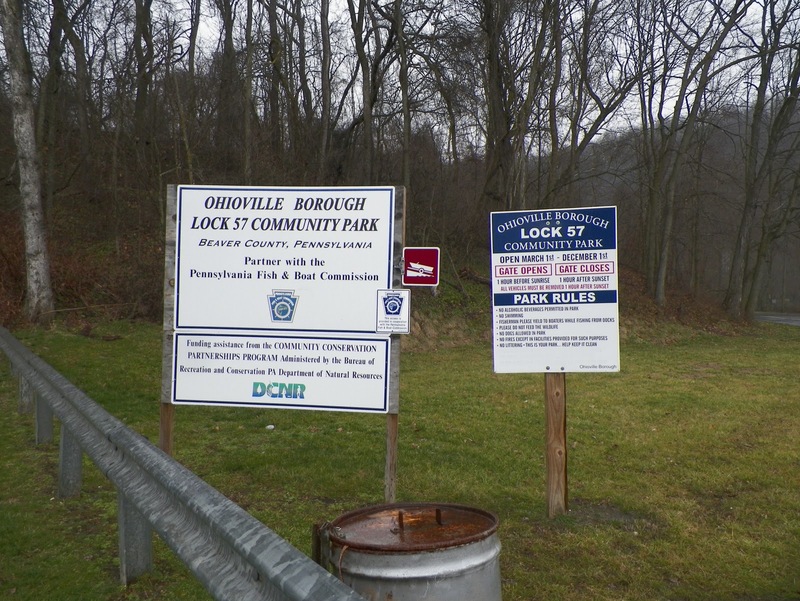 The Park is closed for right now. 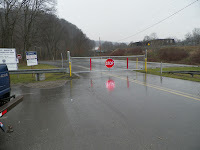 The gate gets locked on Dec 1, but reopens on Mar. 1. You can still go into the park, but you park your car outside this formidable gate and walk in. Besides the legend about the 5 Nuns who were killed in an accident that decapitated them all on the bridge (not the new bridge, but one from a century ago) there seems to be a lot of activity around the aluminum boat dock they put in during the nicer months of the year. We have had some hair raising events sitting on that dock at night.